Like so many countries in Northern Europe, Ontario is going through a heat wave - with some areas under outside fire bans and water restrictions. We love our west-facing apartment, but we don't have air conditioning. So, there are some afternoons and evenings we feel we are living in a greenhouse! 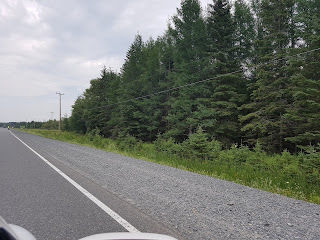 This last week, we decided to drive into Sudbury to watch a movie, figuring that we'd have a nice, cool car ride and be able to sit in an air-conditioned theatre for a couple of hours. Intrigued, we googled it and found out that the young man's name was Ryan Martin, from Guelph, Ontario. He was cycling across Canada to raise funds and awareness for mental health. 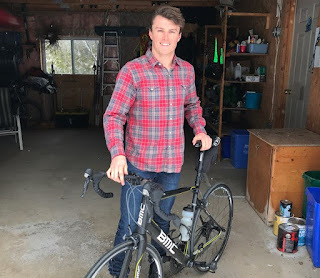 An article posted in Guelph Today (an information hub for local news and events in the area) stated: "In May, the 23-year-old Centennial High School and Wilfrid Laurier University student will fly to British Columbia where he will dip his bicycle in the Pacific Ocean before embarking on a three month, 8,000 kilometre ride across Canada to raise awareness and inspire others." (Click the picture below to read the full article). He left Tofino, B.C. at the end of May, and is planning to get to St. John’s, NFLD, in September. We decided to double back to give him a shout out and a thumbs up for encouragement. His face lit up when we lowered the window and called out to him by name. After doing a U-turn, we passed him again, and shouted out more encouragement to him. So inspired by what he was doing, we decided that more needed to done to support this young man. Parking the car in Massey, we waited for him to catch us up and pass us by, thinking that we would take a movie of him as he approached so that we could spread his story on social media and encourage people to donate to his cause. We were thrilled when he actually stopped and spoke with us. During the short conversation, he told us that he had been feeling a bit down that afternoon, having a bit of a cold and cycling in the heat and humidity. Apparently, our shout out to him had raised his spirits, and he had wondered how we had known his name, thinking that we may had been friends of his from Southern Ontario! We explained what we had done as we continued rolling the movie. (We got his permission to post the video we took of him). We shook his hand, and wished him luck as he continued his journey. As we got back into the coolness of our car to resume our own journey, we were comparing how comfortable we were with how sweaty and hot he was... we both felt uplifted and we knew, in our hearts, we had just met a real live hero. We made the decision to get behind Ryan and support him in the best way we knew how - through social media. We posted the movie and the links to his website, together with other information we were able to gather. We have been absolutely gobsmacked with the results and, within 24 hours, the movie had already been viewed over 1000 times on Facebook alone, and is currently showing at 1655 views. (The version you are seeing in this blog was uploaded to YouTube for that purpose). 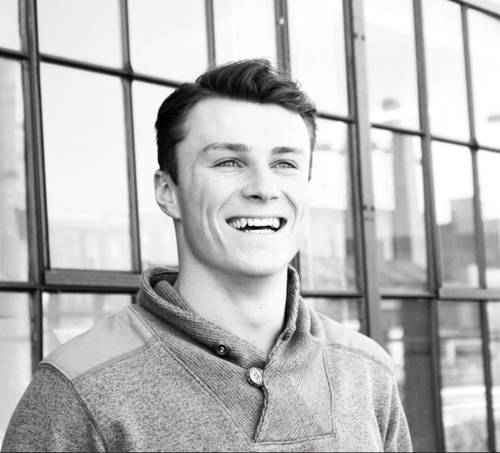 If you feel inspired to donate to his cause, please visit his website which tells his story and provides that opportunity for you to help him reach his goal of $100,000.